Debra Butler is a real estate professional in Rabun County, GA who specializes in buying and selling residential homes, cabins, and vacation homes. Debra has over a decade of experience helping first time buyers and second home buyers in purchasing homes in the communities of Clayton, Lakemont, Tiger, Wiley, Mountain City, Dillard, Sky Valley, Rabun Gap. Lake Rabun, and Lake Burton. 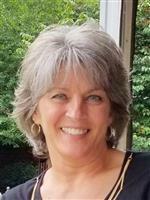 Originally licensed in 2000, Debra Butler is an accredited GRI and is currently a member of NAR, GAR as well as the Rabun County Board of Realtors. Debra's experience throughout the Rabun County area has earned her several awards and designations for her professionalism and high achievement. In 2008, 2012 and 2014 Debra was named Realtor of the year. Debra is also currently on the Board of Directors, and has served as the Secretary/Treasurer, President-Elect, President, and has chaired multiple committees within the past 15 years. Home buyers in the Rabun County area can trust Debra's years of experience helping both experienced and first time home buyers find homes that meet all of their needs and desires. Those searching for the right home can benefit from Debra's My Home Tracker. My Home Tracker provides home buyers with email updates about homes that match the specific buyer preferences. Sign up for My Home Tracker today and being receiving email alerts. Home buyers can search the site for up-to-date properties for sale on the Rabun County market. Debra invites visitors to browse the Featured Listings for some of the most fantastic homes for sale in the Rabun County area. For those relocating to Rabun County or for those who are simply moving into a new town or neighborhoods, the site's Community Information section can help you understand the nature of areas of interest. In the Buyer's Resources section, additional information is available for buyers searching to further understand the sometimes complicated process of buying a home. When selling a home, setting the listing price of the property is a task that should not be taken lightly. In order to understand what a home is worth, one needs to first look at the Recent Home Sales in the area. The final sale price of homes that have sold in an area with comparable amenities will give one an understanding of what a home is able to sell for in a specific location. The Seller's Resources section is filled with articles that are informative for home owners embarking on a home selling journey. These articles answer common seller questions about issues with Appraisals and Market Value, Negotiating, Property Taxes, Seller Financing and more.